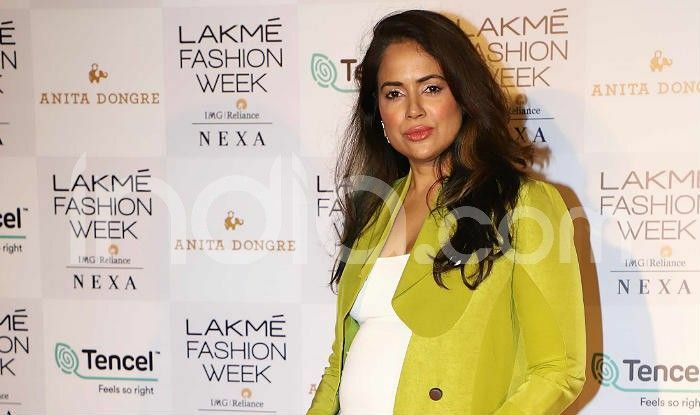 Sameera Reddy is pregnant with her second child. Actress Sameera Reddy is pregnant with her second child. 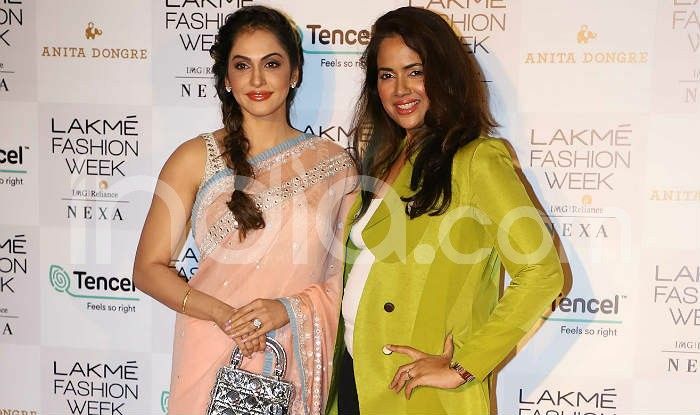 She was spotted flaunting her baby bump at the ongoing Lakme Fashion Week. 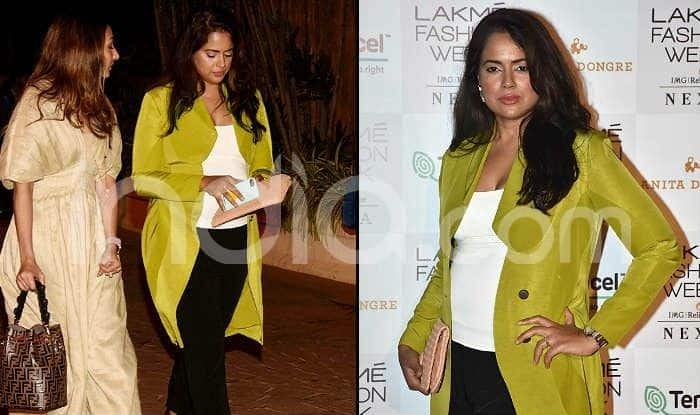 Sameera attended designer Anita Dongre‘s show and posed for the shutterbugs on the red carpet. She looked all graceful wearing a white tank top, black pants, and lime-coloured coat. Sameera radiated in her pre-pregnancy look. This is for the first time she has given a public appearance during her second pregnancy. The actress was also seen bonding with actor Isha Koppikar, who arrived wearing a lovely saree at the event. Sameera got married to businessman Akshay Varde in the year 2014. She had her first child the next year, in 2015. It was quite a hush-hush wedding for Sameera as she got married within 10 days as per Maharashtrian wedding rituals. She always maintained that she never wanted to get married to someone from the film industry. Sameera is known for her work in films Maine Dil Tujhko Diya (2002), Plan (2004), Musafir (2004), Taxi No. 9 2 11 (2006), One Two Three (2008), Race (2008), and De Dena Dan (2009) among others.